Sato (Haruma Miura) is 27-year-old single man. He is waiting for a dramatic moment in his life that will lead to love. He works at a market research company. One day, he asks random passersby in front of Sendai Station to fill out a questionnaire. He has a hard time finding willing participants. A woman in a black suit agrees to answer the questionnaire. Sato sees the letter "shampu" on her hand...is this fate? 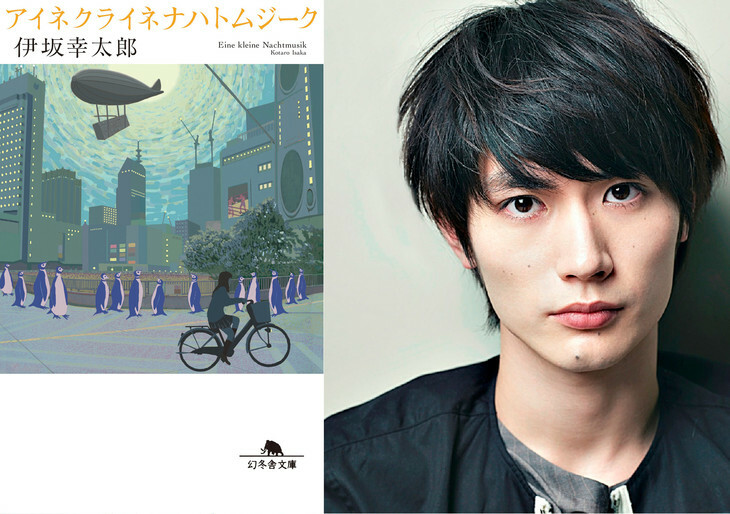 Based on the collected short stories "Eine Kleine Nachtmusik" by Kotaro Isaka (published September 26, 2014 by Gentosha). Filming begins April, 2018 in Sendai, Miyagi Prefecture, Japan. shanmu Mar 11 2019 10:53 am Please tell me this is not a dream. Was searching on Mikako and happened to find out that they are collaborating again. I am so excited RN. Mitsuki Jun 15 2018 6:34 pm I'm so excited for this new project of them, I can't wait to watch this movie, I hope they work again to another live action movie because they team up is really great!!! Haruma and mikako sniper ????? KingofHell Mar 11 2018 3:10 am I missed you ?